This wellhead control panel system uses four Dynex PF4300 Checkball pumps. Wellhead Control Panel Systems (WHCP) use Dynex checkball pumps for their performance and reliability. Oil & Gas production platforms are demanding on the hydraulic systems that operate onboard. High pressure, low viscosity fluids, and extended life mean components must be of higher quality than typical industrial products. 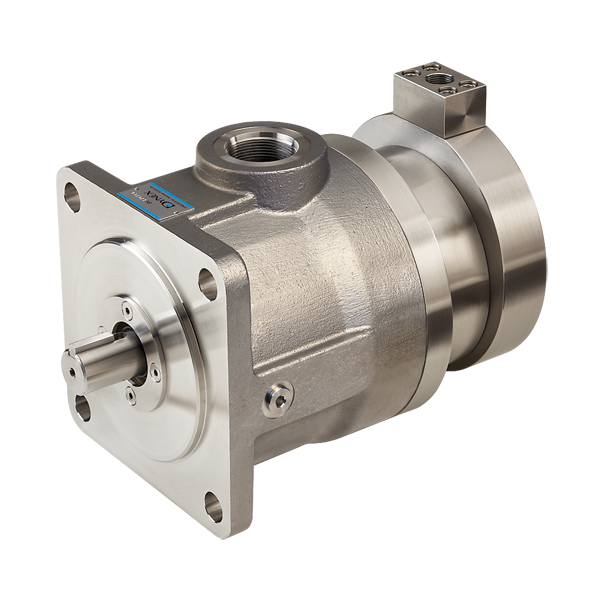 Dynex checkball pumps are designed to operate at pressures to 15k psig and with fluid viscosities as low as 1.5 cSt. Customers who want reliable products that operate under extreme conditions without regular maintenance intervals, choose Dynex. Dynex checkball pumps for use in the Oil & Gas industry are ATEX compliant, compatible with water-based subsea production control fluids, and eliminate cross-contamination risk with their single fluid design.